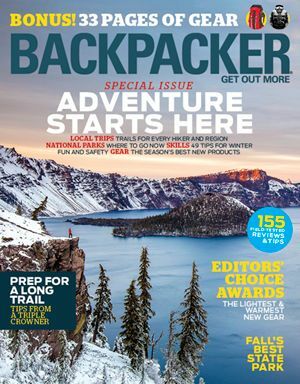 Backpacker connects with 1.1 million readers for whom outdoor adventure is the centerpiece to a vibrant, experiential lifestyle. Within the pages of Backpacker, readers find the very best in close-to-home trip ideas and done-in-a-day adventures that they can easily schedule into their busy lives. But beyond hiking and backpacking, Backpacker features the latest in a wide variety of outdoor sports, including cycling, fly-fishing, mountain biking, trail running, rock climbing and more.